These concerns were expressed in a December 2018 letter to Acting Administrator Andrew Wheeler, which included seven multipart questions requesting clarification of “changes the Administration made to EPA’s enforcement program.” That letter was sent by three ranking members of House committees—all Democrats who now chair those committees. In a new letter sent to Wheeler February 1, 2019, the three chairs state that the administrator and the EPA have not provided the information requested in the first letter. Accordingly, the chairs repeat their concerns and requests for information and ask that those requests be met by February 15, 2019. As with the first letter, the follow-up was signed by Rep. Frank Pallone, Jr. (NJ), who now chairs the House Committee on Energy and Commerce, the lead environmental committee in the House; Rep. Paul Tonko (NY), who now chairs the House Subcommittee on Environment and Climate Change; and Rep. Diana DeGette (CO), who now chairs the House Subcommittee on Oversight and Investigations. The letters rely on news reports from The New York Times (Times), The Washington Post, and NBC News, as well as EPA memos and e-mails and a report by the EPA’s Office of Inspector General to paint a picture of an Agency that in 2018 reached a “historic low” across the board for enforcement actions. “The number of new civil and criminal cases, defendants charged, and federal EPA inspections and evaluations all reached their lowest levels in at least a decade, according to the date,” write the Congress members. The chairs indicate that the enforcement reductions appear to result from several developments, including a 15.7% drop in staff between January 2017 and August 2018 at the EPA’s Office of Enforcement and Compliance Assurance. But the deeper concern appears to be “political review” of enforcement activities; that is, policy changes that require career EPA enforcement staff to submit their enforcement plans to EPA political appointees for approval before taking further action. 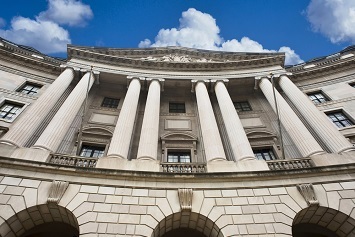 The letter lists five EPA memos that scale back the enforcement discretion of enforcement staff. For example, a March 2018 memo from the OECA’s assistant administrator to regional enforcement personnel instituted interim procedures requiring early notice to EPA political appointees of civil judicial referrals to the U.S. Department of Justice. The letters requests information about vacated positions; whether there was any analysis about how the vacancies would impact enforcement; how requests by enforcement staff to acquire information from regulated sectors have been handled; referrals to the DOJ; and how much time the OECA’s assistant administrator is spending on reviewing these referrals.